When a loved one is struck by an illness, injury, or old age, he or she will most likely be bound to stay at home most of the time. In this situation, any individual will often need assistance with his/her daily activities. Samaritan Caregivers specializes in the provision of quality non-medical home care to both children and adults in their residences, clients in care facilities, hospitals, or hospice centers can take advantage of our structured services. We also provide care for seniors as they transition in to life during their golden years. Listed below is our full range of services. Senior careYour aging parents will receive proper care and support daily. They can continue to stay at home while receiving professional care. Non-senior careWe look after the health of your younger family members, not just seniors. We care for clients of all ages. HousekeepingManaging your household can be easy with our caregivers’ help. CompanionshipWe will help keep your loved ones safe while also providing them with social interaction. Meal planning and preparationWe can help plan, prepare, and serve nutritious meals for your loved one. Personal carePersonal hygiene is important in maintaining and improving your health, so we help your family member follow it. Care and support for persons with disabilitiesOur caregivers are ready to lend a helping hand to loved ones with disabilities. Medication assistanceWe know the importance of medications for good health so we assist our patient with management and intake of medications. Children with disabilitiesWe can be the physical and emotional support that children with disabilities need to live their daily lives. One-on-one careA caregiver will take care of one patient, providing the necessary care as well as assistance that the latter needs every day. Alzheimer’s and Dementia careSeniors with these mental conditions will need specialized care that our trained caregivers can provide. 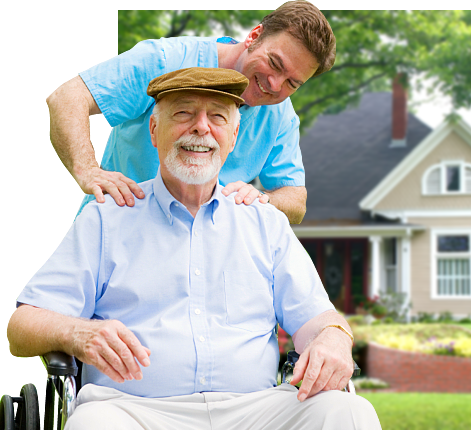 Respite careIf you need to take a break from caregiving duties, we can temporarily provide care for your loved one. 24/7 careLet your loved one enjoy non-stop care and supervision by a trained care professional. With uninterrupted services, clients benefit from continuous recovery support, activities of daily living assistance, and personal care. Palliative and Hospice CareWe offer tailor-fit hospice care for patients who suffer from terminal illness. We provide comfort and palliation when a cure for their health condition is no longer attainable. Compassionate care is provided to the patient while emotional support is extended to family members. Our staff members bring responsive care wherever they go. We visit clients in their residences or when they are confined in different care settings. Our varied non-medical home care services can be taken advantage of by any individual who needs our support, no matter the age. In order for us to identify the right services to be rendered, our first action would be to conduct an assessment of the patient’s situation at home. Through the assessment’s results, we will be devising the appropriate plan of care. If you have further questions about any of the services that we offer, please give us a call at 403-516-2490 or 403-991-5202. Our staff will be happily taking your call.